You have all the gear – a snorkel, paddles, pull buoy, swim fins and a kickboard, but do you have a tempo trainer? Since I started using the FINIS Tempo Trainer, it has become my loyal companion during my lonely 5 AM lane swims. The audible beats let me know if I’m on pace, ahead of pace, and in those very dark moments, if I’m behind pace. It’s amazing how helpful this little piece equipment is, now I wonder how I used to train? The answer is not very well. Here’s the 101 on the tempo trainer – why, how and when to use it. Why use a tempo trainer? You think about a lot of stuff when swimming – keeping track of your workout, technical cues and the splits. It’s a lot to have on your mind. With so much going on, you’re bound to sacrifice one. 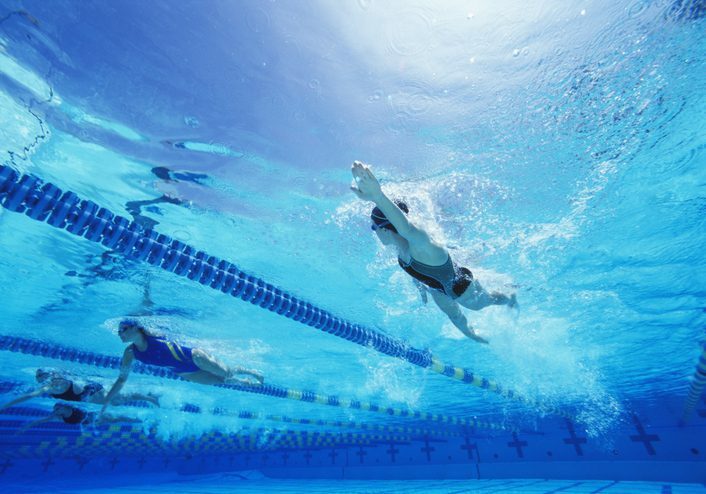 Nine times out of ten, a swimmer will sacrifice technique to hit their time. The tempo trainer keeps you honest. By setting your goal split – every time you hit the wall you know if your ahead, on pace or if you need to pick it up. With constant feedback, you can then turn your attention to technical cues, cues that’ll improve your efficiency and lower your times. How to use a tempo trainer? The tempo trainer is great for sets when you’re aiming for a specific split (for example, 1:30 or 1:45). To do this, set the trainer to mode one or two and keep the device in your swim cap or on your goggle strap – the beep is audible even on the deck. There is also a stroke rate mode in strokes per minute. In this mode, you will hear a beep for stroke rhythm. All you do is make sure you catch (hand enters the water) on the beep. When do you use the tempo trainer? Whenever you want, but I find this device is most useful for set intervals when I’m trying to maintain a certain pace. Most triathletes, myself included, are bad at pacing their effort in a swim set, starting to fast and then fading. The tempo trainer is very helpful for pacing for this reason – it gives immediate feedback.